October 6, 2012 — SkyIMD, the innovators in aerial imaging and ISR (Intelligence, Surveillance and Reconnaissance) solutions, announces that it has been selected to supply two SkyFusion Pak systems by the U.S. Southern Command (USSOUTHCOMM). 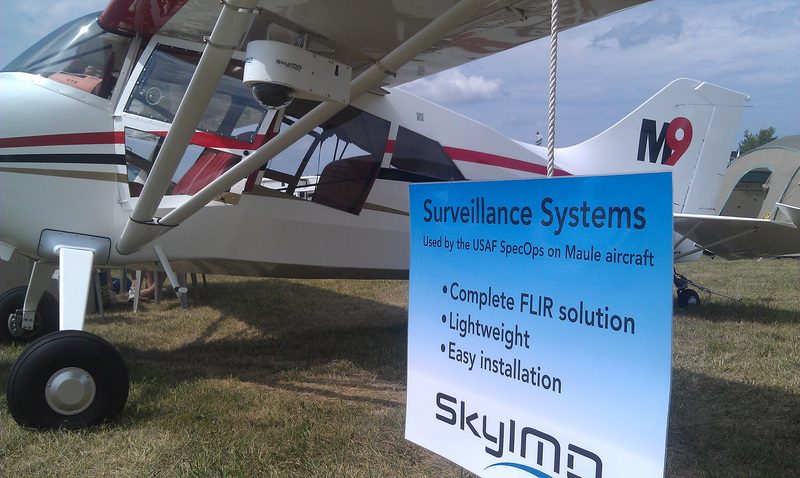 The SkyFusion Pak aerial imaging systems will be installed on Maule Air, Inc. aircraft for use in U.S. Air Force partner nation missions during training and counter drug operations. The company has also developed a special operations manual for the missions and will be providing specially-tailored training sessions. Small, lightweight and portable, SkyFusion Pak can be deployed quickly and installed easily in the field on multiple aerial platforms. SkyFusion Pak includes a self-contained pod with an application-specific sensor and motorized control that is ready to be mounted on wing struts or belly. The system is configured with Sony electro-optical E/O imagers and FLIR (Forward Looking Infrared) sensors, to meet the needs of different applications. It also includes a touchscreen flight control laptop computer that is customized and pre-configured with comprehensive management and control software. Integrated mapping and automatic streaming video features can provide real-time actionable image data.